Early 2013 I wrote the book “Scrum – A Pocket Guide“. It was published in November 2013 by Van Haren Publishing. 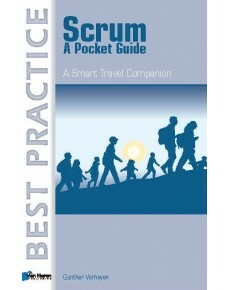 The pocket format used by my publisher coincides with the sub-title of the book “A Smart Travel Companion” and my views of Scrum as a journey, not a destination. Scrum is a journey toward increased agility, and my book is designed as a small guide that any traveler can easily take along. Best description of Scrum currently available. says Ken Schwaber, Scrum co-creator. The book on Scrum I wished I had written. says David Starr, also known as ‘Elegant Coder‘. My publisher now informs me that the third impression is about to be produced (June 2014). It is still the first edition as the content is stable. The second impression dates from February 2014. I am humbled by this success and grateful for the appreciation. If you have read the book, leave a review at Amazon UK, Amazon.com, GoodReads or one of the other shops where the book can be found. It provides me and potential readers with very valuable feedback. And find many more search results at Google (24900 results), Bing (1110 results), Yahoo (1140 results). Are you going to release the revised or latest version of this pocket guide, in sync with the Scrum Guide released in July 2016? Hi Vivek, my book already has the Scrum Values in it, so it was in 2013 already ahead of the Scrum Guide 2016 change.